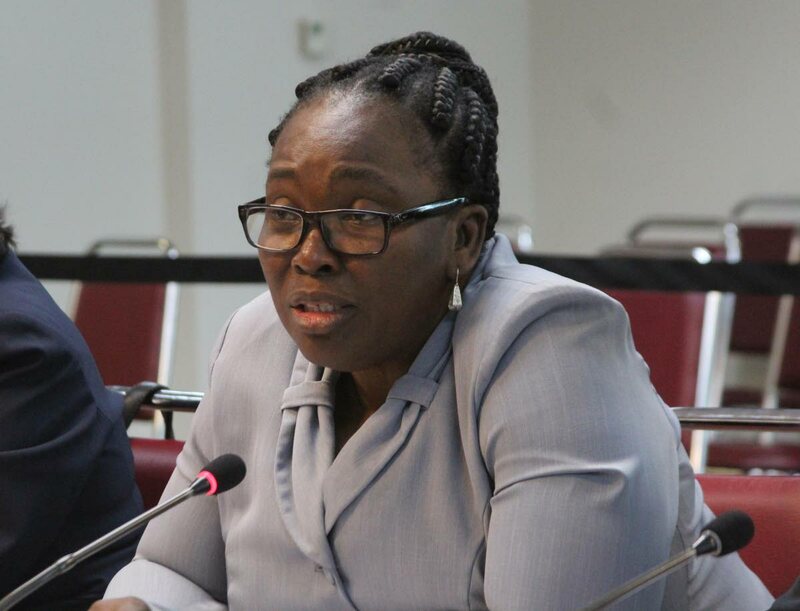 Acting Permanent Secretary Ministry of Attorney General and Legal Affairs Dianne George-Thomas speaks before the Joint Select Committee on National Security on Tuesday. He was speaking yesterday as the JSC on National Security met officials of the Service Commissions Department at the Parliament Building, Port of Spain. JSC member Gerald Ramdeen said correspondence from the DPP in August said there were 74 positions vacant out of a sanction strength of 128. He asked Director of Personnel Administration Prabhawatie Maraj if the regulations were working with 57 per cent of positions vacant. Maraj responded the department has been ready to fill most vacancies but has to get recommendations from the DPP through the permanent secretary to fill the positions. Reply to "DPP vacancies at 57 per cent"